Mr. Hwang is a shareholder and president of the firm. He concentrates in commercial and international transactions, commercial litigation, real estate, commercial real estate, business law, banking law, corporate law, bankruptcy, corporate finance, trusts and estates and asset protection. 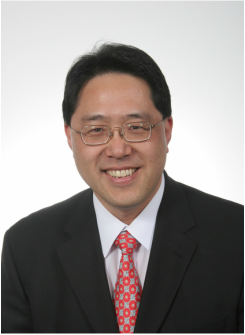 He serves as corporate general counsel to numerous small and medium size corporations in United States and Korea. He is an experienced general counsel to corporations with global subsidiaries, network and transactions. Mr. Hwang brings a unique blend of experience, insight and creativity to his clients. He has had a wealth of experience as a lawyer, leader, entrepreneur, mentor, coach, consultant and advisor to business owners and corporate executives. He has served and continues to serve in various leadership roles as an executive, board member and chairman for a local, national, international marketplace ministries, whose primarily focus is business executives and professionals. He is also an ordained pastor and serves as senior pastor of a local congregation. He is a frequent lecturer on the topics such as leadership, team building, mentoring, evangelism, discipleship, margin and others. Mr. Hwang truly understands the entrepreneurial spirit and passion of his clients who are owners of businesses and executive of corporations. He has accumulated a great deal of knowledge of the practical and in-depth issues of such clients and brings practical and creative solutions they need everyday. Mr. Hwang desires to pursue deep and meaningful relationships with his clients as part of his life's mission which states: "Serving Christ by serving others to leadership." He also desires to live out his vision which states: "To transform the world by becoming a man of significant in the life of others." Board Member, Kahn & Company, Inc.